Do you have anyone on your holiday list who is always seeking new food experiences, is usually the first person to try a new restaurant, or who browses the cookbooks when visiting a bookstore? That person is the living definition of a foodie. Below are some Vermont-inspired gift ideas perfect for the foodies on your list. Above All Vermont in Manchester captures the nostalgia of an old-fashioned general store, but offers a selection of specialty foods that is certainly 21st century. Choose from mixes for muffins, breads, and dips. You’ll also find Vermont maple syrup (of course), cured meats, fudge, chocolate, cheese, jams, and hundreds of other items. 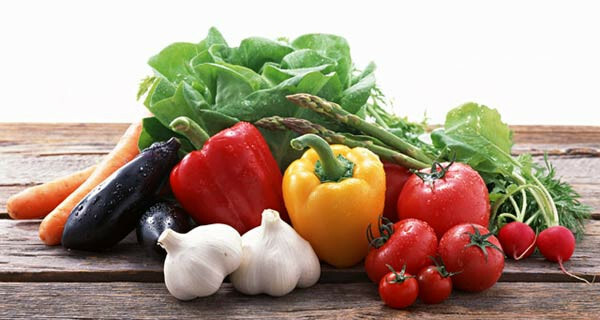 Hand-pick the items for a food basket which will thrill your foodie or let the folks at the store handle with your guidance. Prices range from $24 to $75. Shop in store or online. It wouldn’t be Vermont without including made-in-Vermont cheeses. Grafton Village Cheese makes award winning cheese. Choose one of the distinctive aged cheddars. (Sample the difference each successive year of aging makes to the flavor.) Or select one of the flavored cheddars like the maple smoked cheddar or the smoked chili cheddar. Prices vary. As an example, a 2-year old, 16 oz. cheddar brick retails for $18. Purchase at the Brattleboro retail store, at select retailers, or online. If you think all olive oil is the same, your foodie friends can set you straight. Or you can visit Olive & Ives in Manchester. Focusing on custom-crafted olive oils and vinegars, the store also offers sea salts and other gourmet products. Not sure how to pair the oils and vinegars? The store staff is happy to offer suggestions. 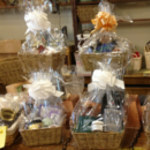 The store even offers the perfect gift basket which includes their most popular items at $49.95. Harrington’s of Vermont has been slow smoking its hams and fine meats with corn cob and maple since 1873. Located in Richmond, Vermont, the easiest way to purchase from Harrington’s in online. In addition to their fine meats, Harrington’s offers cheeses, maple syrup, and desserts. 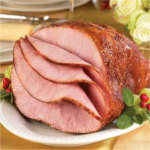 Send a Christmas ham to someone on your holiday list, or buy one for yourself! Nothing says holiday more than heavenly, rich, indulgent chocolates. 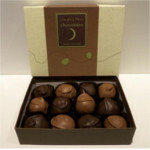 To make your gift of chocolates even more special, consider Laughing Moon Chocolates in Stowe. At Laughing Moon, all chocolates are crafted with the best ingredients in small batches and totally by hand. Selection is huge offering everything from chocolate covered caramel apples to fudge, to decadent chocolate assortments. Our favorite – a dozen handmade buttercreams, boxed ready to give at $18. Dutton Berry Farm Stand has had the reputation in Manchester, Newfane, and W. Brattleboro for the best and freshest produce for years. With a full line of bakery goods as well, the stores are a popular stop all year long. They also produce wonderful jams and jellies from their own fruit. With all this goodness under one roof, there is surely something just right for that foodie on your list. Or, you might want to pick up some fresh baked cookies to give as a hostess gift while making visits over the holidays. What is more Vermont than maple syrup? And no one knows more about maple syrup than the Vermont Maple Outlet in Jeffersonville, Vermont. 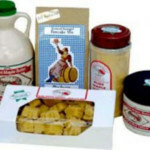 They have been producing Vermont maple syrup for seven generations and make their own pure maple candy and maple cream. 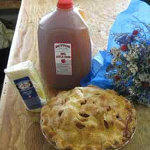 Their country store also carries a large variety of other Vermont specialty foods. 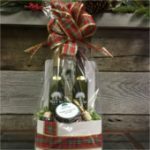 They have taken some of the work out of gift giving by creating a number of gift combos featuring the maple they are famous for. We like the Vermont Maple Outlet Combo which includes the most popular products – a quart of grade A maple syrup, a pound of pure maple cream, a pound box of maple candy, 12 oz. of pure maple sugar and a 1 pound bag of all natural maple buttermilk pancake mix. All this for $68.99. Visit the store or order online. If the foodie on your list enjoys preparing food as much as eating it, the gift of a cooking workshop at The Essex Resort & Spa would be a very special gift. Located in Essex, Vermont, a short drive from Burlington, the Essex Resort offers a low-pressure, hands-on culinary experience working alongside one of the resort’s chefs to prepare a fabulous meal using local Vermont ingredients. Classes are small and generally include a three or four-course meal. 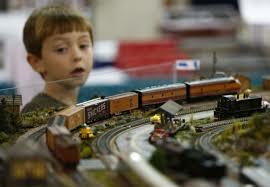 Prices vary, but generally are about $98 per person. 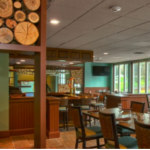 For a full-on foodie experience with a Vermont flair, dine at The Maple Kitchen at Holiday Inn Club Vacations Mount Ascutney Resort, in Brownsville. The restaurant boasts, “We give you a taste of Vermont’s bounty with every bite and sip.” This is true farm-to-table dining from meats and cheeses procured from Green Mountain Smoke House to spirits from local distillers. Give the gift of a two-night stay at the resort and a $25/night resort credit can be applied at The Maple Kitchen or the Marketplace (for 100% pure maple syrup and pure maple sugar candy.) What a wonderful Vermont experience! Today, specialty coffee drinks have somehow become ubiquitous in our society. For the people on your holiday list who are willing to step away from the usual and ordinary, let them try some of the exotic teas from Dobra Tea in Burlington. 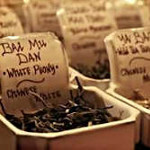 Dobra imports teas from around the world and some are quite rare. For those who thought all tea came in a tea bag from the grocery store, these teas will really open their eyes. For the whole experience, visit Dobra Tea and enjoy a bite to eat. There are a lot of ideas here, but if you’d like to see more, check out Vermont.com’s Shopping & Products page or the Holiday Shopping Guides for Northern, Central, and Southern Vermont. You are sure to find even more suggestions to make your holiday shopping effortless and your recipient’s holiday wonderful. This entry was posted in Activities, Eat & Drink, Food, Now Trending, Shop, Things To Do, Uncategorized on November 7, 2016 by Linda Warner.